However, according to the American Association of Feline Practitioners (AAFP), keeping cats solely indoors also comes with risks including boredom, lack of stimulation, lack of exercise, obesity, stress associated disease, and increased behavioral problems. The solution, according to veterinarian Dr. Karen Becker of Healthy Pets is to give “your cat the opportunity to experience the outdoors safely, while also living indoors, providing the stimulation your cat needs mentally without the risks of free roaming.” Two options that achieve this successful mix are walking cats on a leash and catios. 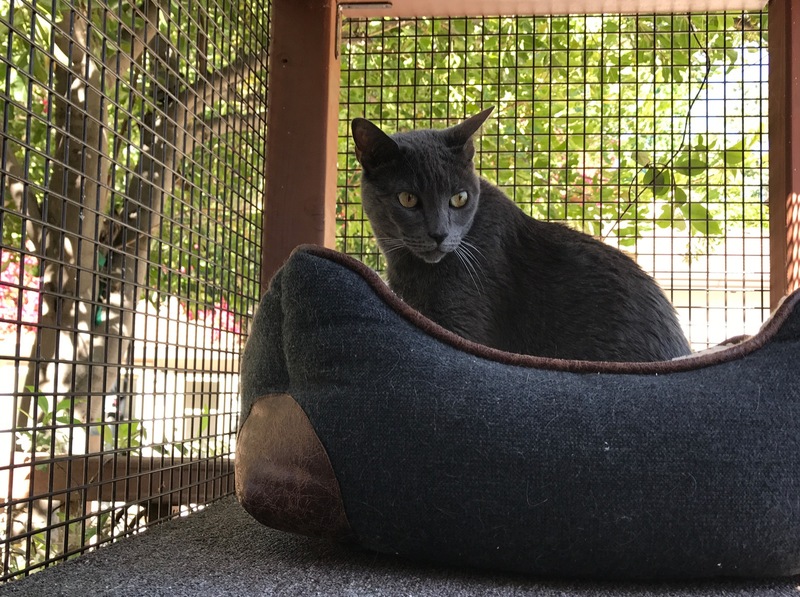 Dr. Becker then lists many “Elements of a Perfect Catio” including a pet door, walkways installed at various heights, scratching posts, and high-up lounging spots. She concludes, “By providing this outlet to the outdoors to your cat, you’re helping her to express her natural cat instincts while providing the valuable mental and emotional stimulation that she needs to thrive.” Exactly! Contact us to get started on your Perfect Custom Catio.